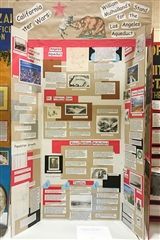 Each year, our 7th grade students compete in National History Day, Monterey County and we are proud of our students' accomplishments. We have had county winners, California state winners, and even a National winner. But more importantly, we believe that History Day teaches our students research, time management, and study skills that prove invaluable in their road to success. History Day is an exciting enrichment program that furthers students understanding of historical issues, ideas, people, and events. It is an academic adventure that provides teachers with an innovative teaching tool that fosters students' enthusiasm for learning. Students complete extensive research, critically analyze and develop historical conclusions, and present their interpretations in a critical yet creative forum. This yearlong academic adventure fosters students' enthusiasm for learning and their love for history. 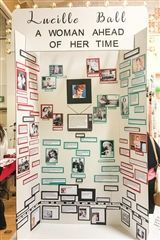 History Day sparks critical thinking, and helps develop skills in research and analysis, writing, and public speaking. 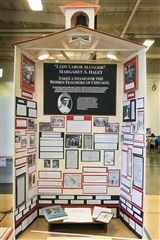 Students create original documentaries, exhibits, performances, research papers, or websites exploring a breadth of historical topics within an annual theme. After selecting a historical topic that relates to the annual theme, students conduct extensive research using libraries, archives, museums, and oral history interviews. All students gain interesting and even surprising insights that they could not have found in history books alone. We invite you to peruse our students' projects. We believe you will be amazed at the depth of research and quality of their projects. 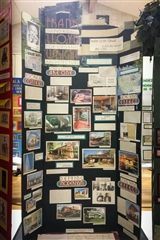 Congratulations to the All Saints' Class of 2018 for their success at the 2017 Monterey County History Day! 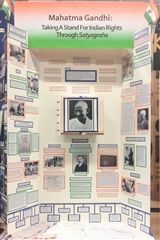 Supported by teachers Forbes Keaton and Kevin Day, the 7th grade students had a highly successful showing at the 25th Annual "Monterey County History Day - Taking a Stand in History" competition, held at Los Arboles Middle School in Marina on Saturday, March 18, 2017. 140 students from 7 different schools competed. 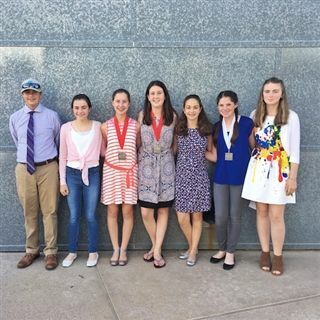 Eleven of our 7th grade students were State Finalists and represented All Saints' and Monterey County at the National History Day - California Competitions. In addition to the 11 county winners, the class of 2018 received a total of 27 special awards. 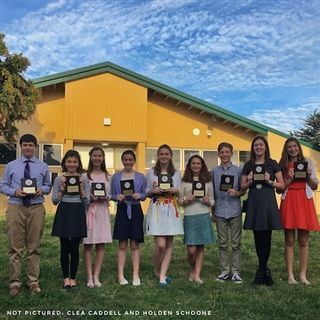 Our 11 County Winners continued their competition and went to Rocklin, California to represent All Saints' and Monterey County. 40,000 students from 34 California counties entered History Day in California this year and 1,400 students made it to the California State competition in Rocklin, CA, held on May 5 - 7, 2017. Our 11 county winners did a fabulous job and seven of our students made it into the top 20 of their respective categories! At the awards ceremony, Clea Caddell was awarded Honorable Mention for her historical paper, Kate Morgan won Runner Up for her exhibit board, and Julia Vanoli won Runner Up for her documentary. Additionally Clea Caddell, Alexander Rupp, and Julia Vanoli received special awards for their projects.